purchaseking2 has no other items for sale. 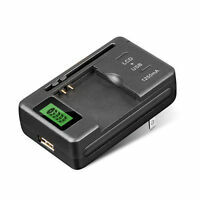 4PCS Skywolfeye 18650 Battery Rechargeable 3.7v 5000mAh Li-ion + Charger ! 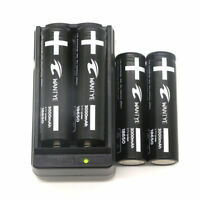 4x Skywolfeye 3.7 Li-Ion 18650 Rechargeable Batteries 5800mAh + Battery Charger! There are 377 items available. Please enter a number less than or equal to 377. Sales tax may apply when shipping to: AL*(8.0%), AK*(8.0%), AS*(8.0%), AZ*(8.0%), AR*(8.0%), CA*(8.0%), CO*(8.0%), CT*(8.0%), DE*(8.0%), DC*(8.0%), FL*(8.0%), GA*(8.0%), GU*(8.0%), HI*(8.0%), ID*(8.0%), IL*(8.0%), IN*(8.0%), IA*, KS*(8.0%), KY*(8.0%), LA*(8.0%), ME*(8.0%), MD*(8.0%), MA*(8.0%), MI*(8.0%), MN*, MS*(8.0%), MO*(8.0%), MT*(8.0%), NE*(8.0%), NV*(8.0%), NH*(8.0%), NJ*(8.0%), NM*(8.0%), NY*(8.0%), NC*(8.0%), ND*(8.0%), MP*(8.0%), OH*(8.0%), OK*(8.0%), OR*(8.0%), PW*(8.0%), PA*(8.0%), PR*(8.0%), RI*(8.0%), SC*(8.0%), SD*(8.0%), TN*(8.0%), TX*(8.0%), UT*(8.0%), VT*(8.0%), VI*(8.0%), VA*(8.0%), WA*, WV*(8.0%), WI*(8.0%), WY*(8.0%). 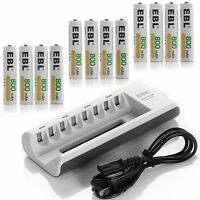 Batteries work fine, they arrived fast too. Item came good condition. Good Seller.